What Is a Furnace Disconnect Switch? A furnace switch is more accurately called a furnace disconnect or furnace disconnect switch. And those names are pretty self-explanatory: it's a switch that disconnects the power to the furnace. 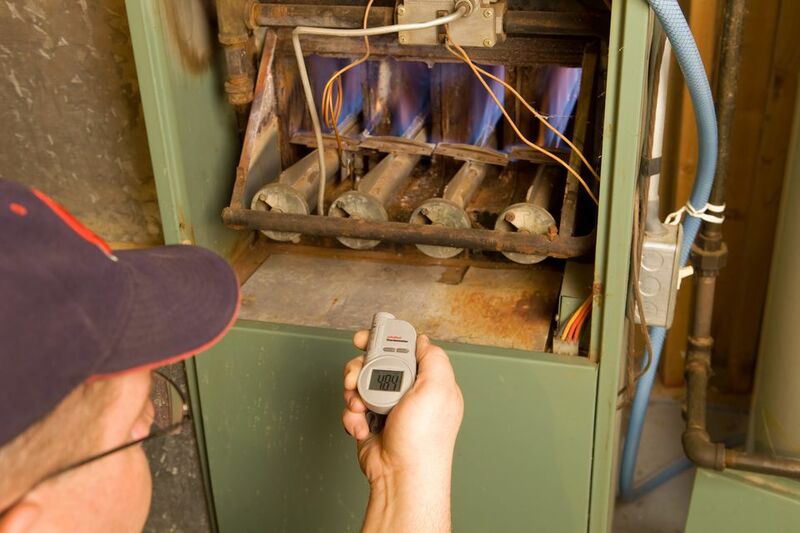 Most building codes require a furnace switch or "disconnecting means" within sight of the furnace itself. It's usually mounted on the side of the furnace or a wall nearby. The switch allows you or your plumber or repair technician to shut off the electricity to the furnace without having to go to the breaker box and switch off the circuit breaker, among other benefits. A furnace must be supplied by a dedicated circuit, meaning the circuit cannot supply anything but the furnace. This circuit will have its breaker in the breaker box (properly called the main service panel). The circuit wiring runs from the service panel to the disconnect switch, and from there to the furnace. You can shut off the power to the circuit at either the breaker or the disconnect, or both, to be safe. The disconnect switch not only adds convenience, but it's also an additional safety feature: Let's say you shut off the breaker, then climb down to the basement to work on the furnace without switching off the disconnect, and someone upstairs unwittingly turns on the breaker. Ouch. Furnace switches come in two basic varieties. The current standard is a single-pole switch similar to a standard light switch. The switch must be rated for the voltage and amperage of the furnace circuit. Some older furnaces, particularly old oil-burner units, have fused disconnect switches. This is a specialty switch that includes both a fuse and a toggle switch. You can disconnect the power to the furnace by unscrewing the fuse or shutting off the switch, or both. The fuse screws into the fuse socket and is covered by a metal lid that is hinged on one side. Fused switches may be required by local code and by the furnace manufacturer, or both. Check with the local building authority for specific requirements. Some local codes may allow a "lockable breaker" like a furnace disconnect, in place of a switch near the furnace. Given the lack of convenience and potential safety risk (how lockable is that breaker? ), this isn't an ideal setup and probably isn't recommended for new furnace installations. But if your old furnace doesn't have a disconnect switch within sight of the furnace itself, check the circuit breaker to see if it has a locking device. If not, it's a good idea to have a disconnect switch installed, for the next time the furnace needs maintenance or repairs.